"I'm going to hold on to you for the rest of my life." Magnolia Pictures has unveiled an official US trailer for a Danish drama titled The Commune, the latest film from Danish filmmaker Thomas Vinterberg. This first premiered at last year's Berlin Film Festival, and is just now getting a US release this summer more than a year later. The Commune is about exactly what the title says - a commune in Denmark in the 1970s. It plays with the idea of whether a commune, a collection of random people all living in one big house together, can actually work. The film's ensemble cast includes Trine Dyrholm, Ulrich Thomsen, Helene Reingaard Neumann, Lars Ranthe, Julie Agnete Vang and Fares Fares. I saw this at Berlinale last year, and it's pretty damn good, with some outstanding performances from the cast which make it better than it really is. Erik and Anna are a professional couple with a dream. Along with their daughter Freja, they set up a commune in Erik’s huge villa in the upmarket district of Copenhagen. With the family in the center of the story, we are invited into the dream of a real commune; we participate in the house meetings, dinners and parties. It is friendship, love and togetherness under one roof until an earth-shattering love affair puts the community and the commune to its greatest test. The Commune is directed by Danish filmmaker Thomas Vinterberg, of The Celebration, It's All About Love, Dear Wendy, Submarino, The Hunt and Far from the Madding Crowd previously. The screenplay is co-written by Thomas Vinterberg and Tobias Lindholm. This premiered at the Berlin Film Festival last year, and played at numerous festivals in 2016. 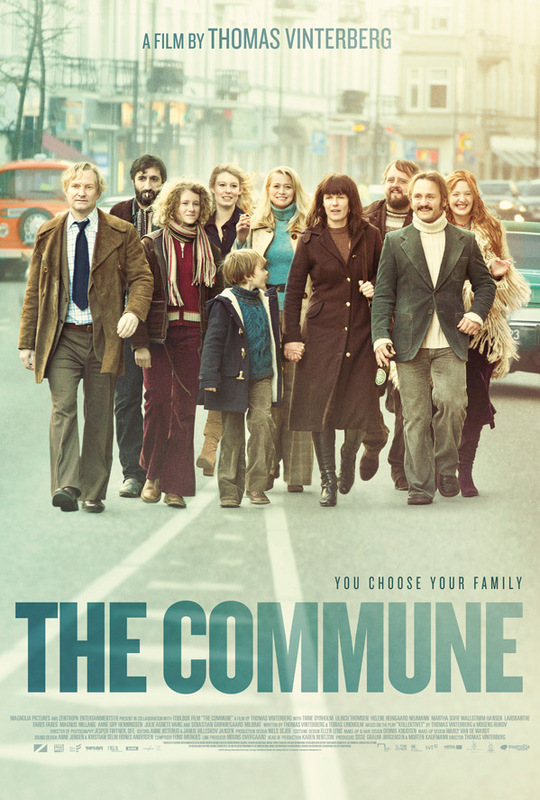 Magnolia Pictures will release The Commune in select theaters + on VOD starting May 19th this summer. Who's interested?